Driving a car is about more than wheels on the road. For those who love driving, the experience includes the material of the seats, the tint on the windows and the sound coming through the stereo. Because of this, one of the most important upgrades for your vehicle might be a car audio amplifier. Car stereo amplifiers are a critical part of any sound system. While all stereos come equipped with a standard amplifier, an aftermarket car amplifier can make a significant difference in the quality of the sound. Car amps are designed to take the signal from the radio, CD player or MP3 player and give it a boost, thereby creating clearer sound. When looking at car stereo amplifiers, it is important to know the different options. Multi-channel amplifiers boost the signal to all the speakers in the vehicle, which allows you to work with multiple channels simultaneously. While this can include the subwoofers, it is recommended to purchase monoblock amplifiers for these specialized speakers. Monoblock amplifiers may only have one channel, but that channel is specially designed to hone in on the bass sounds. To pick the right amplifier, you need to make sure it is compatible with your other stereo parts. It is important to look at the type of subwoofer, box and the aftermarket stereo system. You may want to purchase an amp kit, speakers and subwoofers at the same time in order to ensure the best performance. Specific brands will vary, and the most popular options include car amps from JL Audio, Orion, Arc Audio, Pioneer and Alpine. 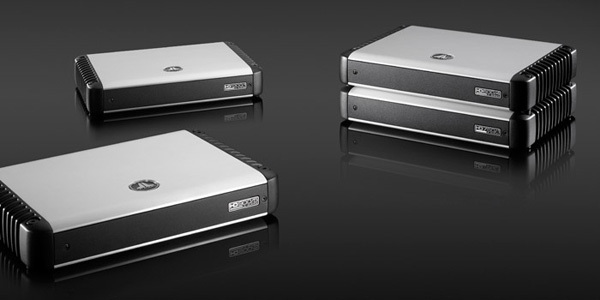 For the best monoblock amplifiers, the Alpine HD Series is usually the preferred choice. While you may only be interested in an aftermarket car amplifier, you may also want to consider a full stereo upgrade with a new head unit to maximize your sound experience. Joe’s Car Stereo can help create a comprehensive aftermarket stereo upgrade with custom options. While we can easily install parts purchased elsewhere, we do offer a warranty for all amplifiers bought at our shop. Our technicians are fully certified and have ample experience with the best brands for both Class A and Class B amps. To see examples of the quality work completed at Joe’s Car Stereo, be sure to look at our gallery of previous work. For more information or a free quote, contact the team at Joe’s Car Stereo today.